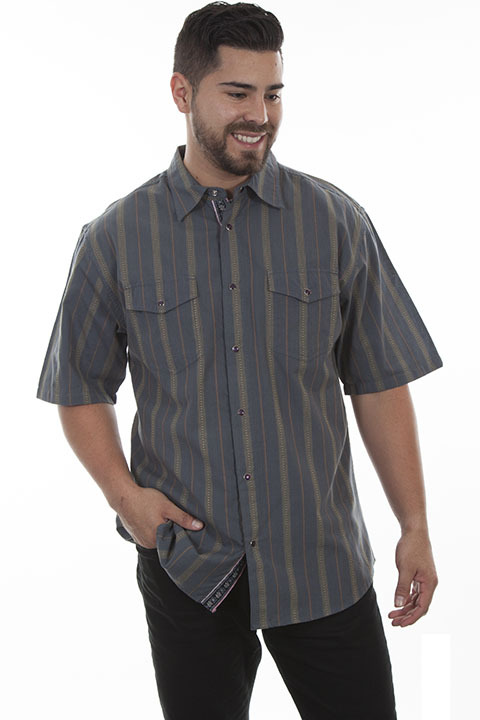 100% cotton shirt features snap front closure. Two chest flap pockets with snap closures. Stripe print with contrasting trim. Machine wash in cold water and hang dry.